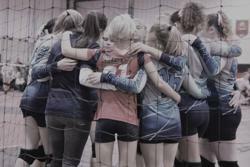 We will teach the true meaning of fundamentals to the game of volleyball in a fun yet structured atmosphere. Elite athletes are not born but shaped, molded and created by the coaches who teach them. Through consistency and encouragement, Texas Invasion wants each girl to feel confident in her skills as an elite athlete. Our staff will conduct practices in a professional manner utilizing drills created by Olympic, collegiate, and professional coaches. As our players grow, they will develop the skills through each program to become award winning players.